I can’t believe it is almost 2015. This year seems to have flown by faster than any other year so far. So to celebrate the new year I made a fun champagne cocktail. 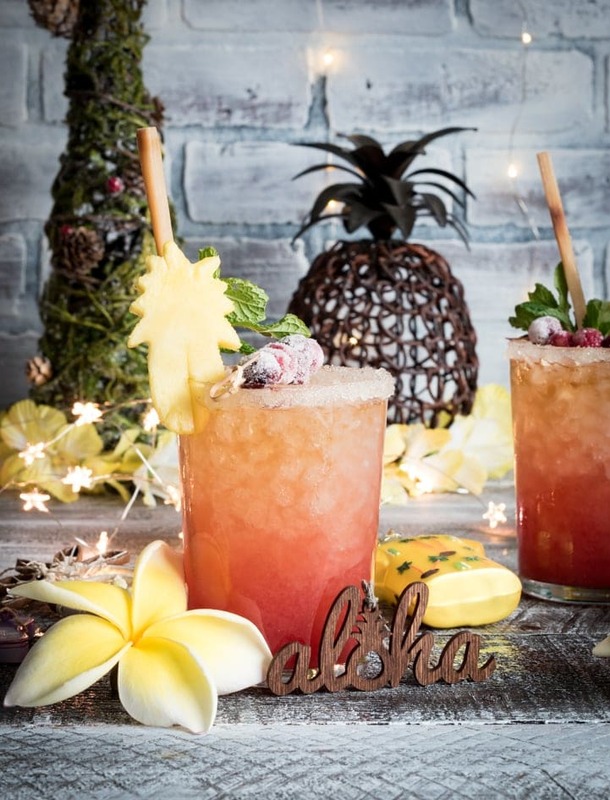 Last year I made a pineapple coconut champagne cocktail, this year I went a little fancier – but still pretty easy to make. 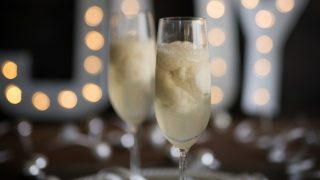 A St. Germain Pear Sorbet Champagne Cocktail. I had some fun thinking up this cocktail this year. Its been warm in Vegas – still in the 60’s ( well until Christmas day when it got super windy and 40 deg. 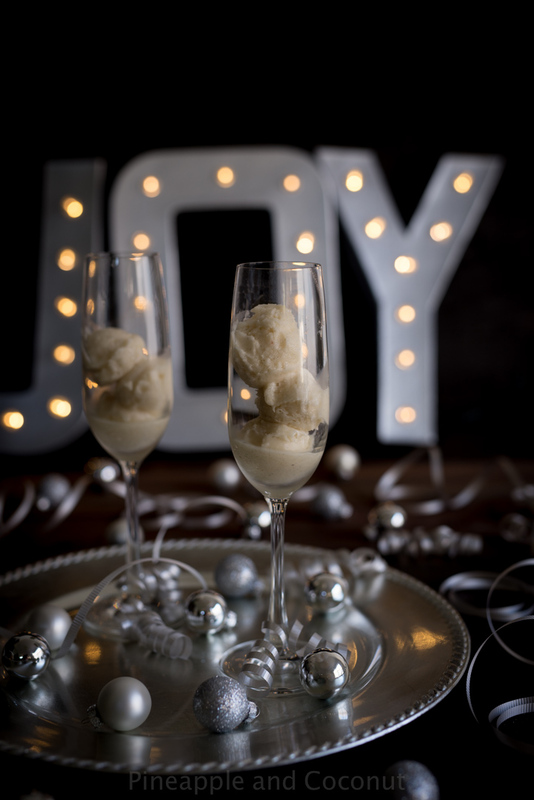 out) so I thought why not make a pear sorbet to go with the champagne. I have seen mimoas made with sorbets before and I always thought what a genius idea. A great way to slowly change the flavor of the drink while keeping it cold and not watering it down, because watered down cocktails just aren’t as much fun. And I have to say this pear sorbet is one of the most insanely amazing tasting sorbets I have ever had. I always set up my photos with empty glasses before I do the actual shoot just to get the props in the right place, right lighting, camera settings etc, so when its time to shoot I can do so pretty quickly. 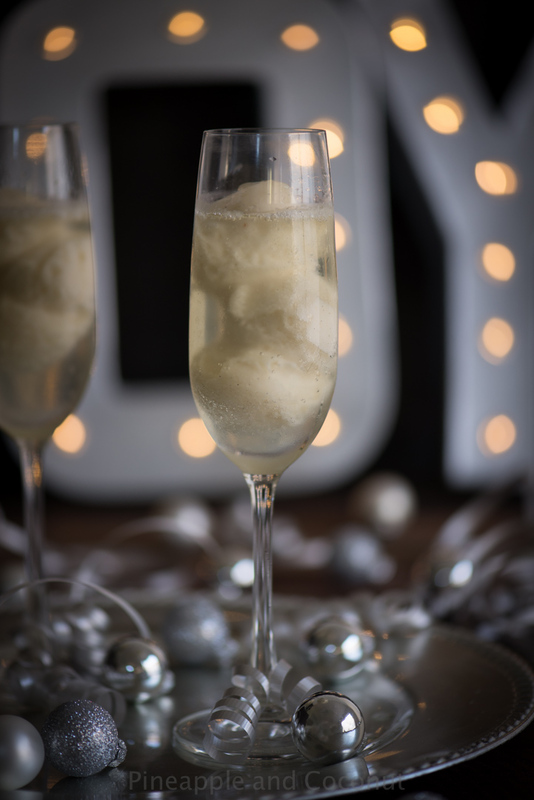 Taking pics of a drink that has several components like my cold pear sorbet and cold bubbly champagne can be tricky. So I will snap a few pics of my set up before my final hero shots. Here you can see my JOY sign that I am so proud of my inner Martha Stewart for DIYing this sign. I found the idea on Pinterest. Of course. I get crafty at Christmastime and will all my spare time ( NOT) I made this. It was actually pretty quick to do and originally I made it for my fireplace mantle but I also thought it would look cool for these pics. I found my idea HERE. 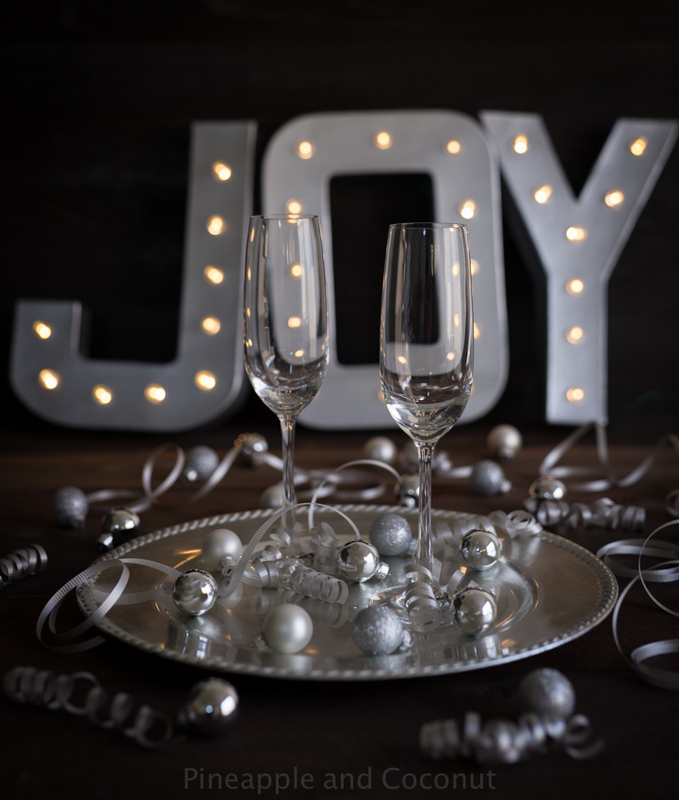 I know the “JOY” is more of a Christmas thing than a New Years but since many tend to leave Christmas decor up through the New Years I went with it. It looks awesome behind my drinks, and after this shoot I put the sign up on my fireplace mantle in my living room next to the Christmas tree. 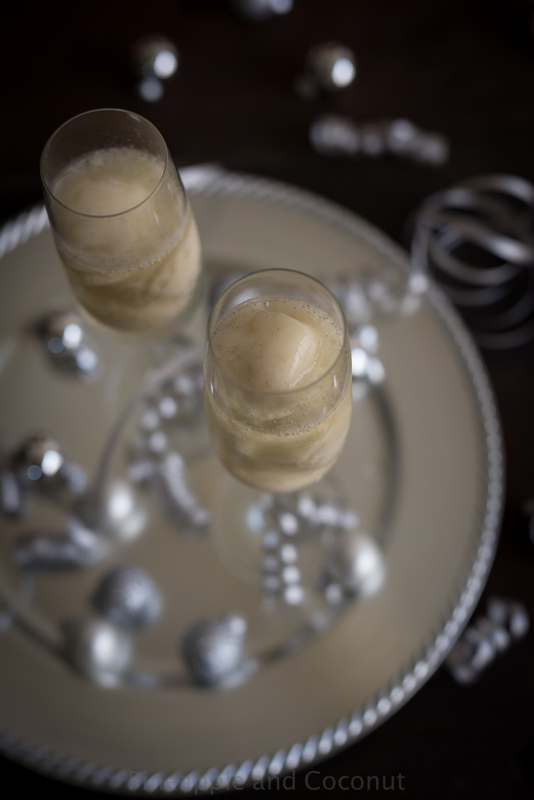 Not only did I make this amazing pear sorbet champagne cocktail for New Year’s Eve I am also doing a fun Co-post with my friend Barb of Creative Culinary. She is the cocktail queen and there have been a few times we have posted cocktails on the same day and linked to one another. 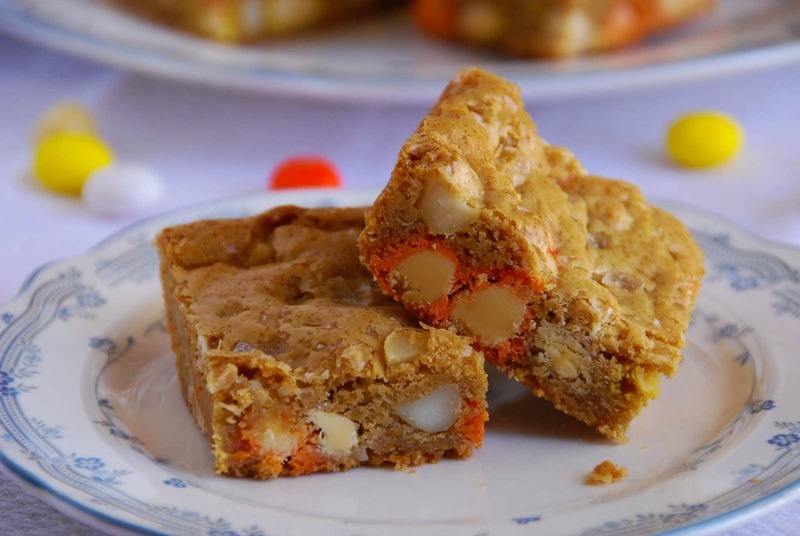 I always ask her ideas on flavors I come up with for a cocktail and most of the time she has either also made it and made it really well, made something similar or has ideas for me and never ever minds if I post something similar. 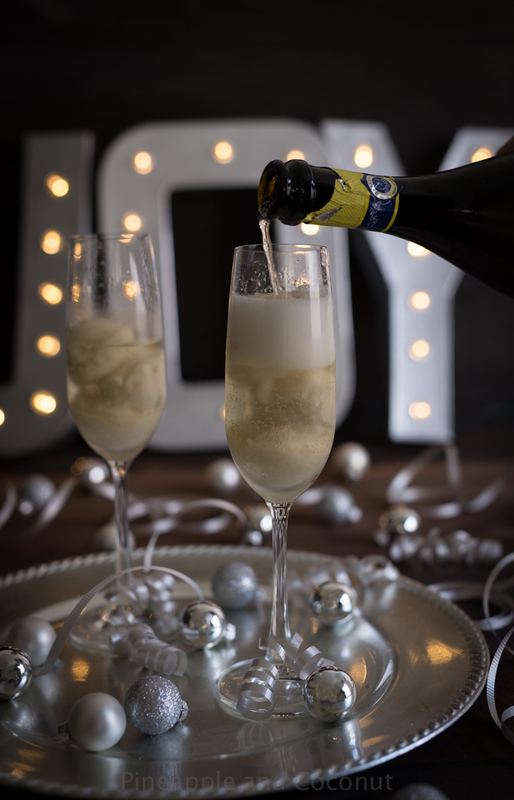 This time the drinks are only similar with the shared ingredient of prosecco. 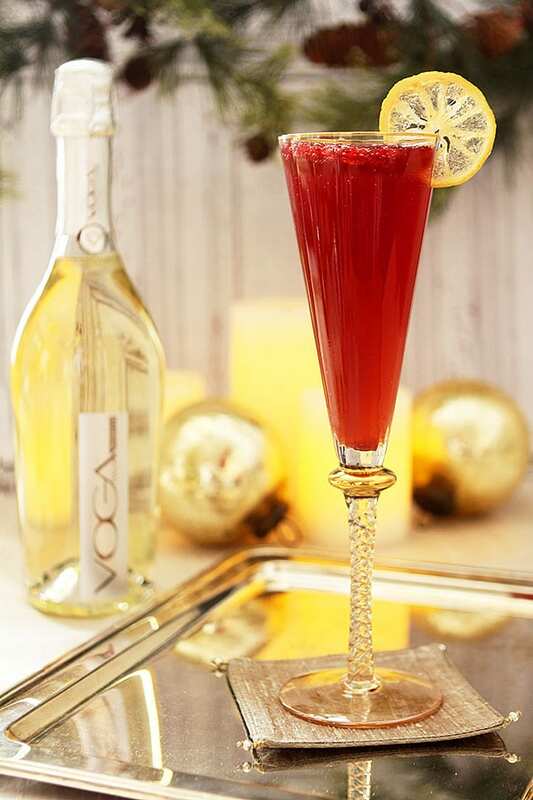 Below is a pic of her gorgeous New Year’s drink, Pomegranate Ginger Sparkler. 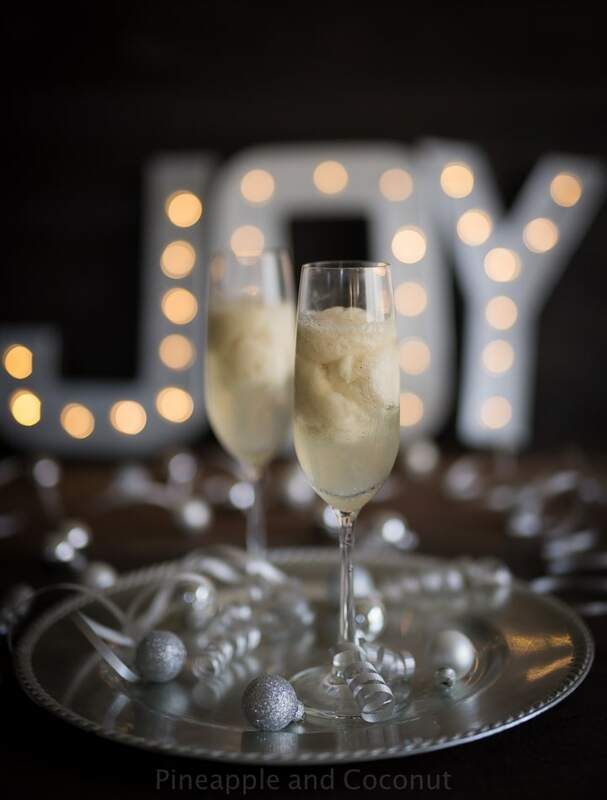 In Barb’s words: “Pomegranate juice is simmered with lemon, ginger and sugar then chilled before being topped off with Prosecco for a beautiful and light holiday cocktail.” LOVE. I had to work quickly since the pear sorbet was on the softer side due to the addition of the St. Germain. Which is an amazing liqueur by the way. Its a flowery liqueur that reminds me almost of lychee and works so well with the pear. New Year’s Eve St. Germain Pear Sorbet Champagne Cocktail Yield a little over 1 pint of sorbet, for about 8-10 cocktails. In a small saucepan combine the pears, wine, water, vanilla bean, star anise, salt and lemon peel. Bring to a boil then let simmer for about 15 minutes until the pears are soft. Transfer the pears to a blender and puree with the sugar. Heat the remaining liquid in the pan on a simmer until slightly reduced, about 10 min. 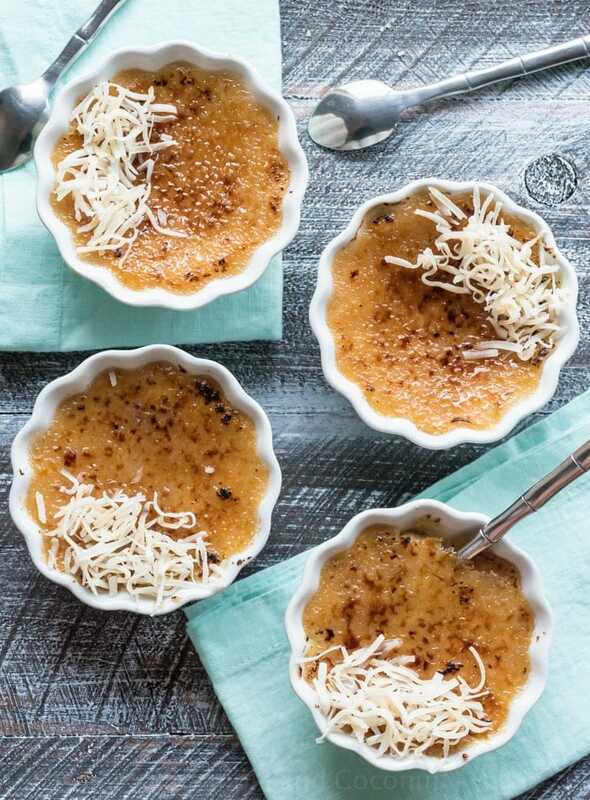 Remove the lemon peel, star anise and vanilla bean and combine the liquid with the pear puree. Transfer to an airtight container, add in two tablespoons of the St. Germain and chill completely. 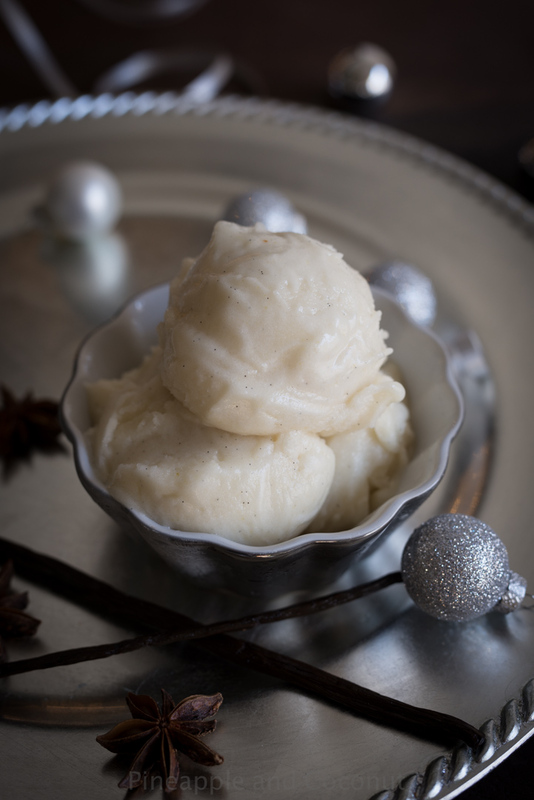 Using an ice cream maker, churn the mixture according to manufacturer's directions then freeze until set. If you don’t have an ice cream maker you can freeze the mixture in an airtight container and stir every 30 min or so until solid. It won't harden completely due to the alcohol in it, but after 12-24 hours it firms up really well.